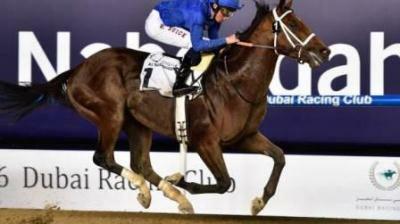 Dubai World Cup, touted as the richest horse race in the world, holds its 2018 edition on March 31 (Saturday) at the Meydan Race Course in Dubai. Fashion, speed, style and true Dubai-style extravagance is what you can expect at the event. The prize money this year is worth more than $10 million. A total of 118 horses will take to the track on Saturday attempting to win part of the Dubai World Cup 2018 prize pool. Each horse will participate in one of nine races scheduled to take place, including eight thoroughbred races and one purebred-Arabian race. The first thoroughbred race meeting was held in Dubai in October 1981, organized by Shaikh Muhammed Bin Rashid Al Maktoum. Three races were run on that historic day, a sprint, a mile, and a mile and a half. The first official Dubai World Cup was run in 1996 with a prize pot worth $4 million (approximately14 million dirhams). Now, the Dubai World Cup has become one of the pivotal cultural and sporting events of the country. In 2017, the winner was Juddmonte Farm's Arrogate, a four-year-old grey colt trained in the United States. Held on the last Saturday in March every year, this year’s race falls on March 31. The race venue is the Meydan Race Course in Dubai. Taxis will be in plentiful supply. The pick-up and drop-off points are located outside the main grandstand at Gate B. The racecourse will be well-signposted from Shaikh Zayed Road, as well as from the E311. Those with hospitality packages will have a car park pass. The general public who choose to drive will be directed to the car park off Al Meydan Road. The RTA will be operating shuttle buses to various destinations in Dubai after the event; including Dubai Marina and Downtown. The carnival runs from January to March on 11 race days leading up to the final showdown on March 31 for the Dubai World Cup. It features races by most high-profile owners, trainers, horses and jockeys in the world. An important part of the Dubai World Cup Carnival, Super Saturday falls exactly three weeks before the actual World Cup. This year, March 10 was the Super Saturday which is essentially a full-dress rehearsal for the big finale. Located between the racetracks and the Meydan Grandstand, Apron Views will host the Style Stakes and also offers food and beverage options. The cost includes admission to venue only. This option offers stunning views of the race as well as entertainment planned for the race day. The Premium area is situated opposite the finish line and adjacent to the Parade Ring. You will have a reserved seat in the outdoor area with access to food and beverage outlets. Cost is inclusive of selected beverages, soft drinks (excluding freshly squeezed fruit juices), afternoon tea and gourmet dinner snacks. You also have access to Apron Views and Parade Ring Lawns. Situated after the finish line, the grandstand seating area is not reserved allowing you to move around. Cost is inclusive of selected beverages, soft drinks (excluding freshly squeezed fruit juices), afternoon tea and gourmet dinner snacks. You will also have access to Apron Views and Parade Ring Lawns. You can also make the race day a five-star dining experience at The Terrace or lounge in the First Class Lounge area.